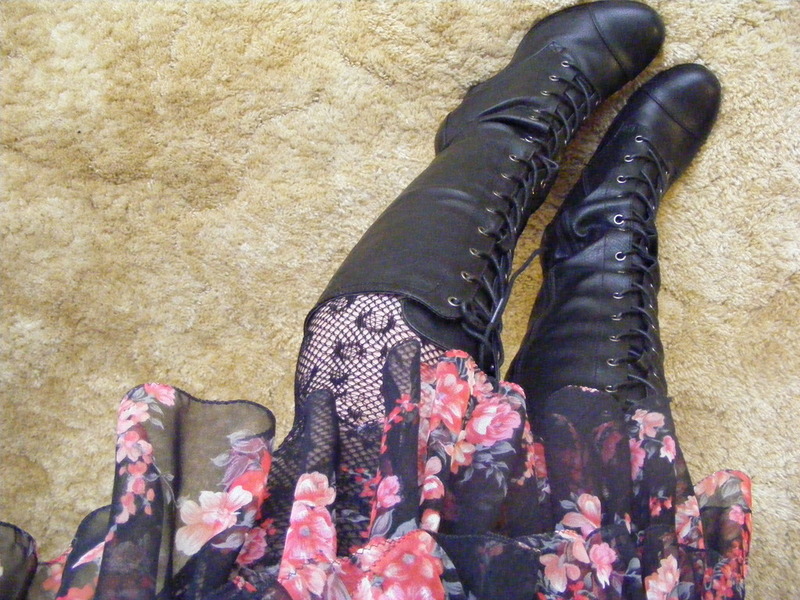 Once upon a time I owned a gorgeous pair of black boots. They were leather with silver hardware and a stack heel. They found their way into my life after a chance encounter at at second hand store. After countless adventures together, they tragically parted ways with their soles last winter. Since then, I’ve been on the hunt for a pair of boots to replace them. I had a clear picture in my mind of what I was after, and yet the perfect boots were somewhat elusive. But recently I snapped up this pair of vegan leather boots on ebay and they are just ideal. Supple, soft and comfortable, I believe they are set to become a wardrobe staple. I paired the boots with one of my favourite vintage dresses for a drive to take some photos of street art and lunch with my parents. 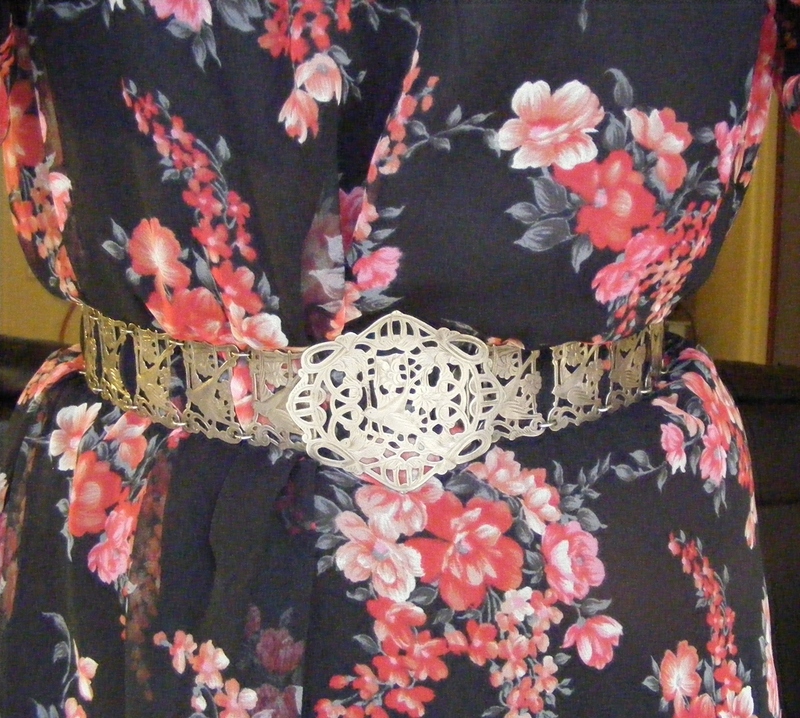 This belt belonged to my best friend’s grandmother. It is such a gorgeous and unusual piece. It always adds a bit of interest to simple dresses, and I love the way it looks when paired with something heavily printed. 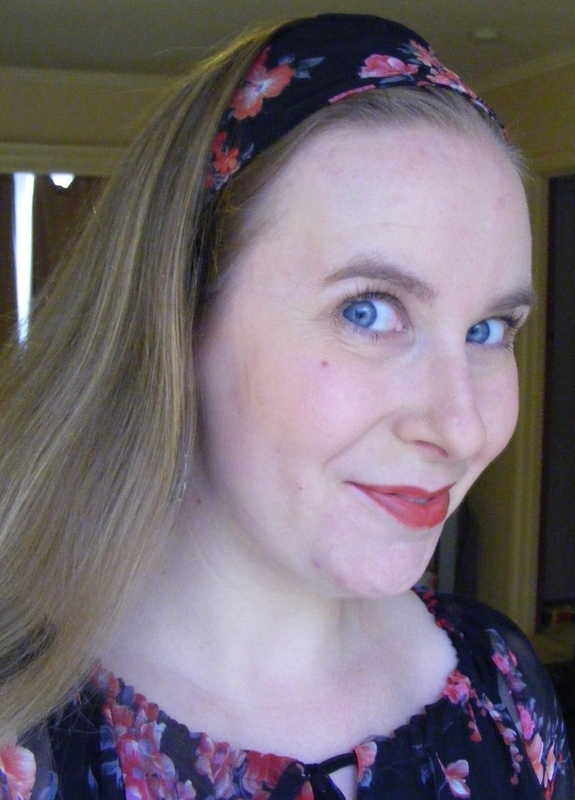 My headscarf is actually the sash off my dress. As I was wearing the silver belt, I thought it would be fun to pull my hair back with the sash and go all matchy-matchy. These boots are just what the doctor ordered. They are beautiful for wearing with my hippie getups, but they will also look great with some of my grittier punk-rock looks. I have even worn them to work a couple of times over cigarette pants and under prim dresses. They were a brilliant find and I’m so chuffed with them. Oh thank you so much. 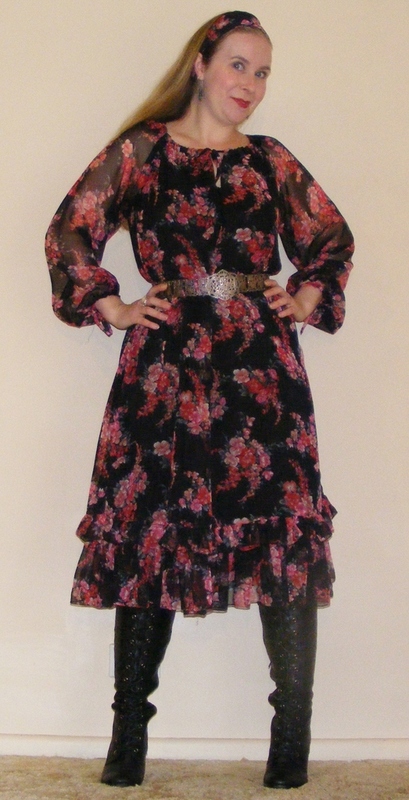 This dress is one of my favourite vintage pieces in my wardrobe.